It's been a tough summer without having proper access to the internet, I've had to try and use birdguides on my ancient old nokia. However, I am now back up and connected to the world. I have also relocated to Titchwell on the north Norfolk coast where I will be over-wintering. So I thought I'd just upload a few photos of some of the best birds of my summer, starting off with a visit to the Farnes to see the Bridled Tern. Being a bird of the islands of the Caribbean, Indian and Pacific Oceans, the north-east coast must have been a bit of a shock! A stunning bird in a stunning location though, and of course I couldn't resist getting a classic snap of a Puffin, which in my eyes are equally as impressive. Another highlight for me this summer and somewhat more recent was the Lesser Grey Shrike that arrived in Suffolk. This was a lovely little bird and showed very well for us in the half an hour we had before it started raining rather heavily. I managed two grainy shots, the first showing the long primary projection characteristic of this species. Lesser Grey Shrike, Lanius minor. My final bird of this blog is a Wilson's Phalarope which kindly turned up at Cley during my first week here. A slender an energetic bird, it never stopped frantically feeding in the time I spent watching it. Here it is with a Ruff for comparison. 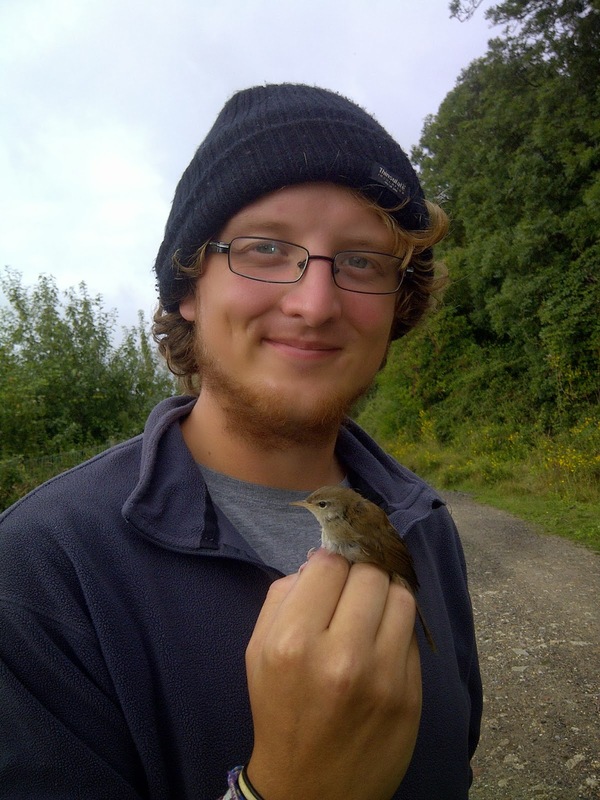 And finally, a nice picture of me with my ringing highlight of the summer, a Cetti's Warbler caught during a lovely weekend spent on the south coast!